Stay hydrated. Picking berries in the summer sunshine can affect hydration. Pack a cooler with bottled waters, and unsweetened iced teas. Take care of the berries! 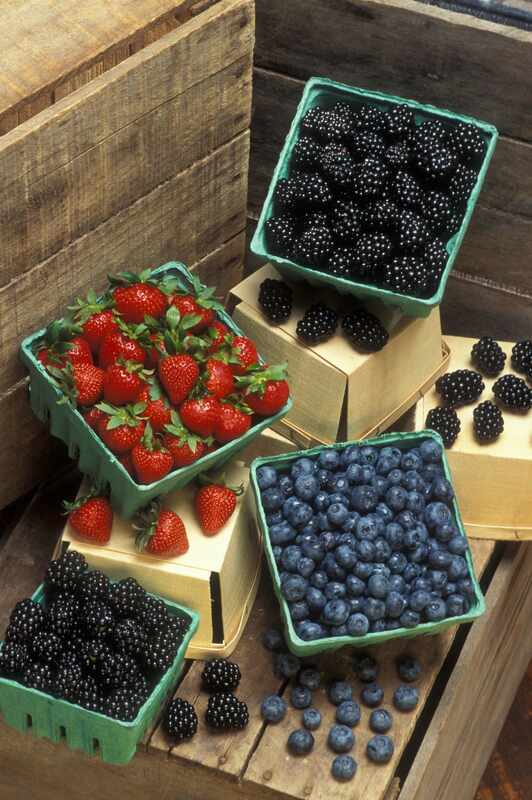 You spent time picking these precious berries so handle them with care! It’s important to refrigerate them as soon as possible unwashed. 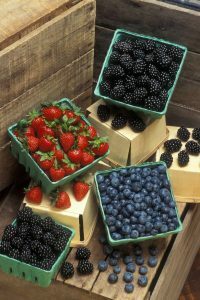 When you are ready to enjoy these berries, rinse gently in cold water, drain, and remove any berries that are not fresh. For tips on storage, handling, and nutrition information, search the fruit database here. Enjoy the fruits of your labor! Berries make for a quick and nutritious snack; add them to cereal, yogurt, salads, or smoothies; make jams/jellies – give as a gift; and there are a plethora of berry recipes – bet you have a favorite one from your grandma! Need some more berry delicious recipes and ideas? Check out the super strawberry suggestions here and search this site for specific berry recipes. Low in fat, sodium, and calories - when eaten raw (i.e., not in a homemade pie!) - a half-cup of berries delivers 30 to 40 calories. Provide fiber, vitamins, and minerals - vitamin C vital for growth and repair of body tissues, healthy gums, and teeth; potassium plays a major role in fluid and electrolyte balance. Good source of phytochemicals – naturally occurring plant compounds that may prevent chronic diseases with blueberries getting top rating for their antioxidant activity! See you in the berry patches!